Portfolio Categories: books, collaborations, commissions, residencies, site-specific, and writing. 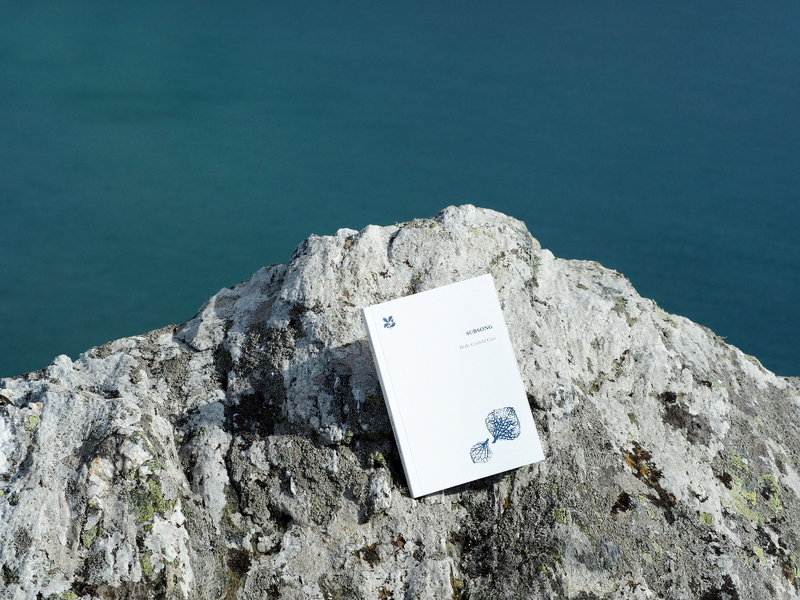 Subsong is a 15-part poem about geology and birdsong published by the National Trust in partnership with Falmouth University, part of a series of site-specific pocketbooks which began with Wyl Menmuir’s short story for the Cheddar caves In Dark Places. Copies available from National Trust online, as well as selected properties, including Overbeck’s and Tyntesfield. You can also order copies from Holly directly and get in touch if you would like a signed copy. 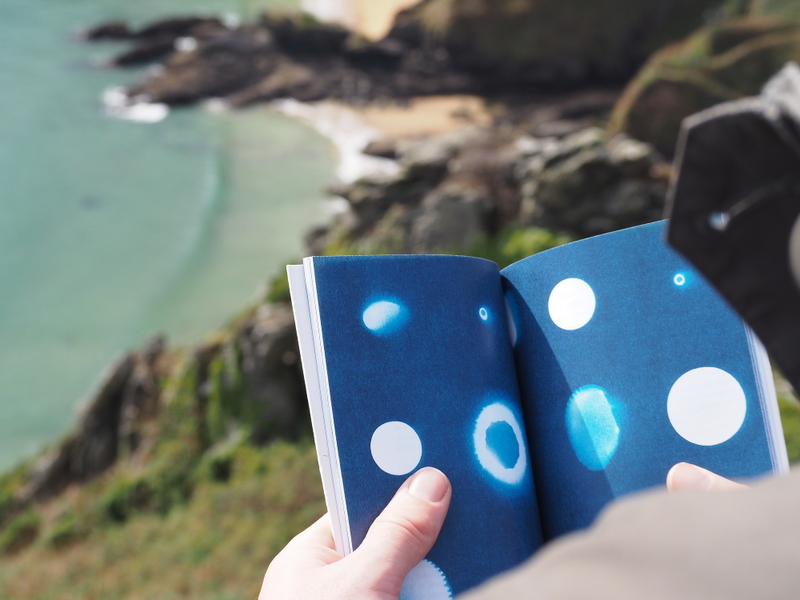 Illustrated with cyanotypes by Falmouth-based writer and illustrator Antonia Glücksman, Subsong is a dream of a book, except that it takes dream to mean (as it once did in medieval English) a rowdy, outdoor kind of noise made by musicians and brawlers and birds. 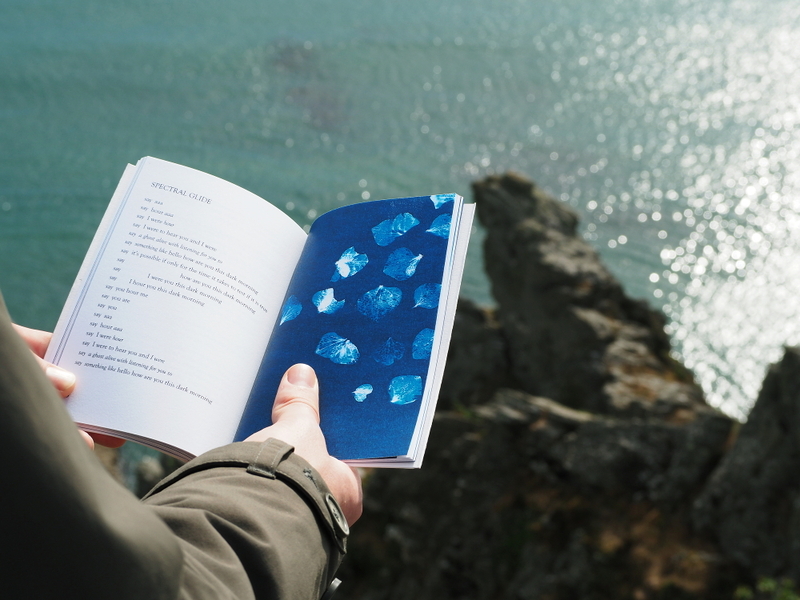 The poem is composed from field notes and songs made for being alone, started while while exploring the coastline between Bolt Head and Bolt Tail where outcrops of serrated glittering schist are the oldest rocks in Devon and among the very oldest in the South West. The saw-tooth profile of the East Soar headland conjures up a birder’s sonogram, a picture of sound where the frequencies are split into scribbly layers, the darkest of which — the fundamental — records the note we hear (or we think we hear) while, almost inaudibly, the voice is splitting at vertical intervals into harmonics. Just as schist means ‘to split’, these are poems for two voices, both of them yours, written to be read aloud to yourself, a slow sing-a-long accompaniment for being outdoors.